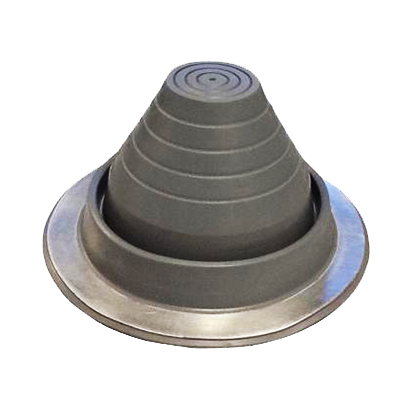 AMSI supply is proud to carry DekTite® Pipe Boots for all roof profiles. 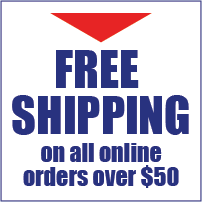 Whether you are looking for metal roof boots for new construction or a repair, AMSI has got you covered. 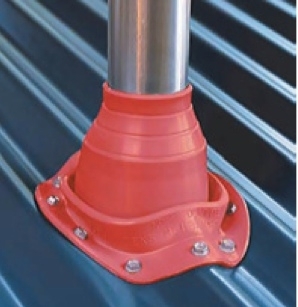 DekTite® Pipe Boots & Flashings come in nine different sizes for pipes ranging from 1/4” to 19” in diameter and are available in black & grey EPDM or orange silicone for high-temperature applications and do not require special tools or complicated installation methods. 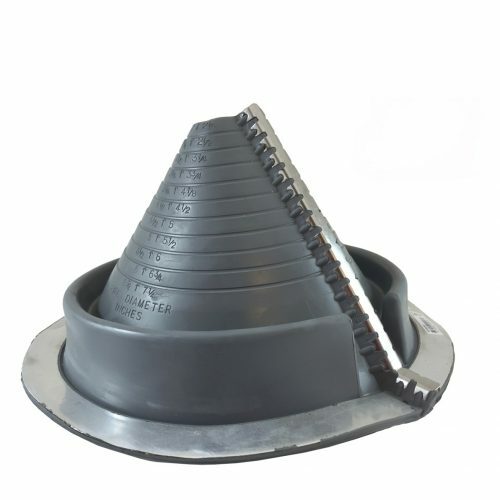 The rubber cone is marked with pipe dimensions, in both inches and millimeters to be easily customized with snips or scissors. DekTite® Pipe Boots’ flexible rubber won’t crack and allows for expansion, contraction, and pipe vibration. The heavy rubber fold at the base allows them to fit any roof style.